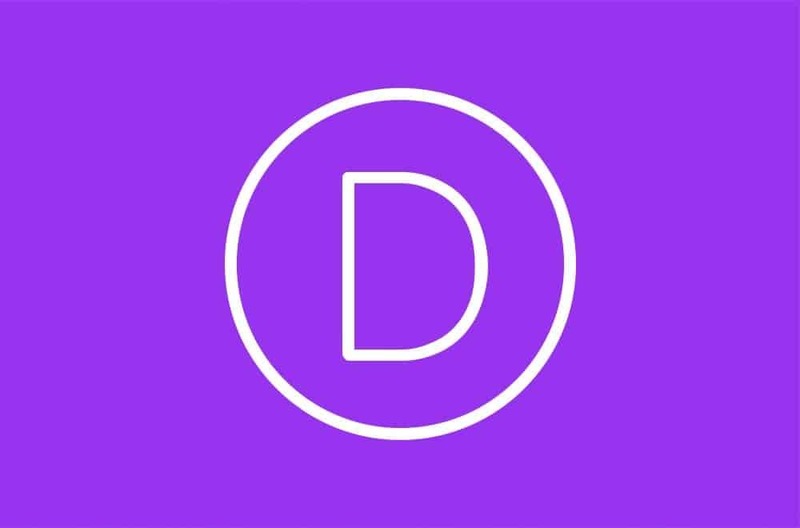 There’s no doubt that Divi is one of the most popular premium WordPress themes available in the market today. Divi is an elegant, multipurpose WordPress theme which is incredibly attractive and is packed with plenty of features and functionality. Divi especially Divi Child Themes are incredibly versatile theme which can be used to create any personal website, business website, e-commerce website or blog. While Divi makes for a great choice for building a website, some users may want added customizability. This is where Divi child themes can help you out. Child themes offer all the features and functionality of Divi, and they also offer custom styling capabilities. By using a Divi child theme, you can speed up your development and create added functionality on your website. But, with hundreds of Divi child themes available in the market, which child theme do you go with? We’ll be taking a look at just this today. So, continue reading this post as I list 10 of the best Divi child themes you can consider in 2017. When you’re done reading this post, you’ll have a better idea of which Divi child theme is more suitable for your needs. Ally is one of the most popular Divi child themes to be used by WordPress developers all over the world. As with its parent theme, Ally is a multipurpose WordPress theme which offers an incredibly elegant and modern look. This child theme is highly functional and is suitable for creating just about any website. It is easy to see why Ally has gained so much popularity with WordPress developers. For starters, the Ally theme has been designed with great attention to detail, and it offers a clean, modern and unique design. This child theme includes most of the features of its parent theme, includes multi-page layout options and is completely responsive. Ally will look and work great on any and every device. I am in love with Ally for the immense functionality that it offers. This child theme offers one-click installation, which allows you to setup your website in no time at all. And, thanks to the built-in Theme Customizer, you can easily make changes to the look of your website. Ally also includes a very useful Call to Action menu item with widget-ready popup functionality. This WordPress theme also comes equipped with full-screen sliders, fly-in animations, overlay mouse effect, custom page styling options, footer widgets and much more! The Ally child theme is priced at $150 and requires you to purchase and install the Divi Parent theme first. Once you purchase and install Ally, you are free to use it across both personal and commercial websites and on as many websites as you like. Arcedo is another premium Divi child theme which is extremely popular with the WordPress community. While Arcedo is a multipurpose theme with lots of features and functionality, it is primarily designed for small business websites. This WordPress theme is ideal for contractors, landscapers, plumbers, remodels and renovations, roofing, and other similar business websites. One of the best things about the Arcedo theme is that it offers custom global headers and footers. This allows you to add any Divi modules in the header or footer sections of this theme. It also includes eight main page layouts, specifically designed for small business websites. These page layouts include the homepage, services page, subpages, projects page, blog, reviews, about us page and contact page. Each page layout can be customized and changed depending on your requirements. There are many things to love about this child Divi theme. Apart from immense customizability, this theme also offers a clean and unique design. And, thanks to stylish hover and animation effects, this theme makes it possible for you to create highly modern looking websites. For a Divi child theme, Arcedo offers everything that startups and small business owners need to create a business website. The Arcedo theme will cost you just $75, and it is worth the price. To use Arcedo, you’ll need to install the Divi parent theme, and once you’re done, you can use this child theme on any number of websites. Of all the Divi child themes that are specifically designed for use in an e-commerce website, Luxury is one theme which stands out. It is a high-quality WordPress theme which comes packed with all the features and functionality required for building an e-commerce website. This child theme is rapidly gaining popularity with e-commerce business owners all over the world. Luxury includes three different homepage layouts which have all been designed with the best design standards. You can choose from one of these three layouts depending on the particular needs and requirements of your business. Some of the key features of the Luxury Divi child theme include mega menus, Product’s quick-view, quick add to cart options, Wishlist, quick search, live chat, shopping cart in the sidebar, filters, product galleries, multi-step checkout options, color switches and much more! This theme is also easy to customize and includes plenty of Ajax functionality. Luxury e-commerce may be a child Divi theme, but it includes everything that you need to build a robust and scalable e-commerce website. This premium Divi child theme is priced at $139 and comes with 6 months of support. Luxury has plenty to offer, and you can also use this theme on an unlimited number of websites, making it worth its price. When it comes to choosing a Divi child theme which is completely designed for business purposes, Corporate is the theme to choose. It is a stunning and modern looking WordPress theme which is perfect for creating any business website. In fact, this theme allows you to create catchy and trendy business websites that stand out from the competition. The Corporate Divi child theme is designed keeping corporate businesses in mind. The first thing you’ll notice about this theme is that it is very cleverly designed and structured. This theme offers a modern look and the content and layout design is new and trendy. Corporate also allows you to customize the color theme to suit your branding scheme with colors of your choice. Despite being a child theme, Corporate includes plenty of features and functionality by its parent theme. This theme includes 7 stylish page layouts with dual layout options for the homepage and a custom blog/news page. It also comes equipped with an opt-in module, a full-width menu and includes eye-catching hover and animation effects. Corporate is built completely using the core Divi parent theme, and it uses no external plugins at all. This theme is easy to install and to get started with, thanks to clear and detailed installation instructions. It also includes plenty of customization options, theme options, JSON files and custom CSS which are all part of the parent theme. The Corporate Divi child theme is a premium theme which will cost you just $49. Upon purchasing this theme, you’re free to use it on personal or business websites for yourself or clients. And, you can use this theme on an unlimited number of websites. Minimalistic themes are incredibly popular with the WordPress community. And, of all Divi child themes which feature a minimalist design, Minimal is one of the best. Minimal offers an elegant and simple look, while also offering all the features and functionality of its parent theme. This multipurpose WordPress theme is suitable for creating any website. Minimal is a fully responsive Divi child theme which is also compatible with most major WordPress plugins. It is a powerful theme which is highly customizable and features a gorgeous design. This theme is also incredibly easy to install and setup, thanks to one-click demo import functionality and detailed installation instructions. Minimal is one of my favorite Divi child themes, thanks to its great looks and awesome functionality. I love the unlimited color schemes and stylish hover and animation effects. This theme allows you to design portfolios, blog posts, and person modules the way you want. Other key features of this theme include custom testimonials, custom footers, custom contact form design, logo sliders and much more. For a minimalistic Divi child theme, you’ll find nothing better than Minimal. This premium WordPress theme is priced at $49 and is backed by a friendly and helpful support team. It is super easy to get started with this theme, and you can use it to build a modern and stylish website in no time at all! For a modern looking Divi child theme that is designed for marketing websites, Anthem is one of the best themes available today. This premium WordPress theme is incredibly versatile and comes packed with great page layouts and awesome features. This theme is fully responsive and is suitable for creating just about any marketing website. Anthem has been carefully crafted and beautifully designed with clean and validated code. 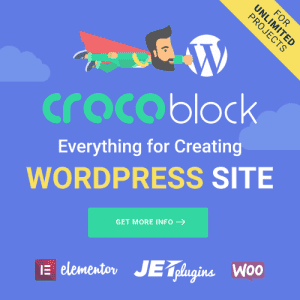 This theme allows you to create stunning websites without having to struggle with hours and hours of designing. Anthem comes equipped with more than 12 stunning page layouts and includes unique elements and fully responsive styles. This theme is also compatible with popular plugins such as Instagram Feed, Font Awesome, Image Intense, and WooCommerce, among others. Installing and setting up this WordPress theme is incredibly simple, thanks to detailed instructional walkthrough videos. You can install this theme using a one-step single-click migration process. And, thanks to integrated Page Builder Everywhere, you can use Anthem to design a website just the way you want. 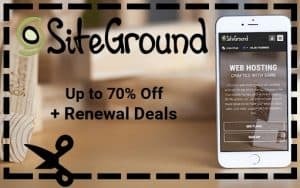 Some features of this WordPress theme that I love include its stunning imagery, clean typography, animated backgrounds, pricing tables, features grids, forms and opt-ins, gradient texts, unique layouts, custom headers and footers and team options, among others. And, this theme is backed by a friendly and helpful support team as well. The Anthem Divi child theme is a premium theme which is priced between $75 and $145, depending on the license. This versatile and modern looking WordPress theme offers everything that you need to design a beautiful and functional marketing website. When it comes to finding a Divi child theme for creating membership websites and online course websites, Ventura is the best theme. This premium WordPress theme is completely designed for websites that sell memberships and/or online courses with the help of the LifterLMS Learning Management plugin. The Ventura theme includes 20 different page layouts with two homepage layouts and a learning platform page layout. Other individual page layouts include instructor applications page, webinars signup and replays page, community page, resources page, affiliate sign up page and a custom blog layout. This theme is highly customizable with complete custom styling, custom fonts, and Font Awesome integration. Ventura also comes equipped with premium plugins such as the Divi Taxonomy Injector and the Divi Layout Injector. Ventura is incredibly easy to install and setup, thanks to a one-click demo content install process. I just love the fact that this theme is so easy to use, yet packs in plenty of features and functionality. If I were to design an online membership site or an online course website in 2017, Ventura would certainly be my first choice. This child theme requires the parent theme to be installed. However, once you purchase a license for Ventura, you’re free to use it for personal or commercial use on any number of websites. You will receive support for this theme for 6 months after you purchase the theme. You can purchase the Ventura WordPress theme for £150. Astra is a premium Divi child theme which is designed specifically for blogging websites. This exclusive theme comes packed with many exclusive features and customizer options. This Divi child theme is ideal for freelancers, bloggers, writers or anyone else who wants to grow traffic through a blog. You can also use it as a starter theme for business websites that are just starting out. Astra makes it extremely simple for anyone to create a beautifully designed blog in a matter of minutes. It may be easy to install and setup, but it is packed with plenty of powerful features. This Divi child theme comes equipped with four different page layouts, custom widgets, custom Meta posts, custom index.php and custom single.php. Astra also includes integrated social share buttons with WhatsApp share, related posts, and author bio-boxes. I love Astra because it offers everything that is required to start a blogging website. This theme is intuitive and easy to use and includes all the functionality that designers and developers may require. This theme costs $125 and for the price, it sure is worth it! You’ll need to install the Divi parent theme and have a hosted website and domain name in place to use Astra. 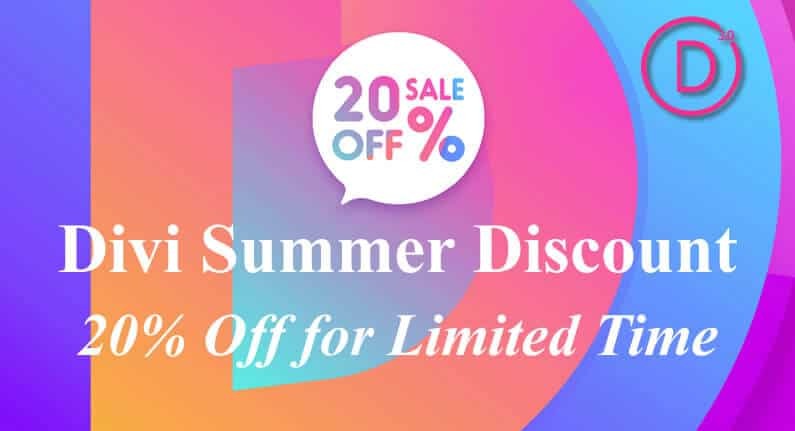 You can use this Divi child theme on an unlimited number of websites for both personal and commercial use for yourself or your clients. Support is provided for 6 months after you purchase this premium WordPress theme. Polygon is a multipurpose Divi child theme that is designed specifically for professional agencies and creative. This all-purpose theme contains all the features and functionality of its parent theme, and it offers a modern and stylish look. This WordPress theme is also fully responsive, and it will work perfectly well on any device. The Polygon child theme includes 10 different Divi page layouts, allowing you to design a website just the way you want. It also includes animated backgrounds, advanced mouse-over animations, preloader options, particles background settings, ghost headers and custom Call to Action modules. Polygon also supports popup form integration for supported plugins such as Contact Form 7, Gravity Forms and Caldera Forms. One thing that I love about the Polygon theme is its ease of use. This theme can be installed and setup in a matter of minutes, thanks to the one-click install feature and comprehensive installation instructions. Also, the Polygon theme automatically checks for and installs updates without you having to do it manually. Polygon allows you to create a beautiful blog or business website with ease. And, thanks to shadow effects, neat design and hover animations, you can give your blog or website a modern look. A regular license for the Polygon Divi child theme will cost you only $55. For this price, you’ll receive lifetime updates and 6 months of professional support. You’ll be required to install the parent Divi theme before you can start using Polygon though. Finally, The Cube Agency is one of the most popular Divi child themes designed specifically for agencies. It is an incredibly versatile, beautifully designed and multipurpose WordPress theme which includes plenty of Divi elements and modules. This theme is fully responsive, and it is suitable for building agency websites or web projects. The Cube Agency comes equipped with 5 different page layouts. These include the homepage, projects summary/overview page, independent projects page, an about page and a contact page. Apart from these page layouts, the theme also includes more than 14 carefully designed elements and modules. A unique feature of this theme is that all page layouts can be combined to create any web project or website. And, all included elements and modules are A/B tested for optimal user experience and optimized for conversions. While there’s a lot to love about The Cube Agency WordPress theme, one thing you’re sure to love is the ease of installation. Thanks to detailed explanations, you can setup this Divi child theme in a matter of minutes. And, with elegant hover effects, stylish header and footer menus, styled arrows, breadcrumbs and other features, this theme offers everything you need to create a stylish and modern website. As a premium WordPress theme, The Cube Agency Divi child theme costs $49. It is one of the cheapest Divi child themes available in the market, and it offers plenty of features and functions. All in all, it is a great theme, and you cannot go wrong in choosing it. So, there you go – these are my top 10 picks for the best Divi child themes available in the market in 2017. There may be plenty of other free and premium Divi child themes out there, but these are arguably the most popular. And, these child themes have all been highly rated by the WordPress community. You certainly won’t go wrong in choosing any of these child Divi themes for your needs. Have you already tried using any of these Divi child themes? Do you know any other awesome Divi child theme which I may not have considered in my top 10? Do let me know in the comments section below and I’ll be looking forward to hearing from you! let me know how these child themes are! exposure! Keep up the amazing works guys I’ve you guys to my own blogroll.